All solo, all original acoustic finger picking blues, lap slide instrumentals and vocals. 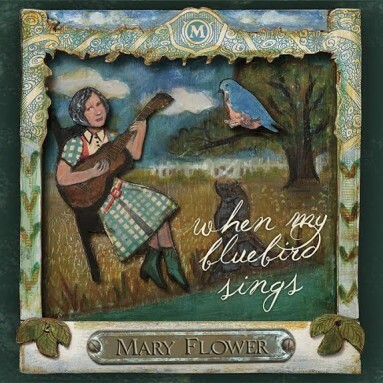 Mary Flower’s contralto voice and confident playing of guitars and dobros on this solo album square an abiding interest in folk tradition with empathy for the blues. using even-tempered resolve, this Portlander mixes lyricism and a soupcon of sensuality in captivating original music. “Can’t Take It With You” has her offering witty reflections on cutting the mortal cord, while “Delta Dream” finds her singing about rural life in Louisiana with an understanding well beyond that of any tourist.Several fascinating instrumentals sustain a balance between bluesy restlessness and playfulness–dig those lap-slide dobros. At all times Flower communicates the weight of her sense of conviction.